Cape Town - EIGHT South African athletes will compete in Zurich, Switzerland on Thursday night as the world's premier track and field series begins to wind down to a close with the first of two IAAF Diamond League finals. A number of local stars will contest for overall Diamond League season titles in their disciplines after putting up fights throughout the campaign. In the long jump, World Championships bronze medallist Ruswahl Samaai topped the standings with 26 points and while the final will be contested as a straight battle for the crown, he has been consistent throughout the season. He will be joined by countryman Luvo Manyonga, who was recently crowned world champion in London, and former Diamond League series champion Khotso Mokoena. 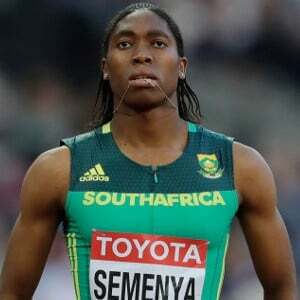 World champion Caster Semenya will be out to defend her series title in the 800m final Women. Though she remains unbeaten over two laps for the last two years, and bagged four victories in this season's campaign, Semenya is expected to face a hard-fought battle against consistent opponent Francine Niyonsaba of Burundi. Akani Simbine will target the title in the 100m race and while Andre de Grasse of Canada has been sidelined by a hamstring injury, the SA record holder is up against Ben Youssef Meite of the Ivory Coast and American world champion Justin Gatlin. LJ van Zyl will turn out in the men's 400m hurdles, hoping to close out his season in style. Although Wenda Nel is also in the entry lists for the women's 400m hurdles race, her event is not a Diamond League contest, with the final set to be held in Brussels on September 1. In the absence of Wayde van Niekerk, who has withdrawn due to a back injury, Pieter Conradie will be the lone SA representative in the men's 400m final.